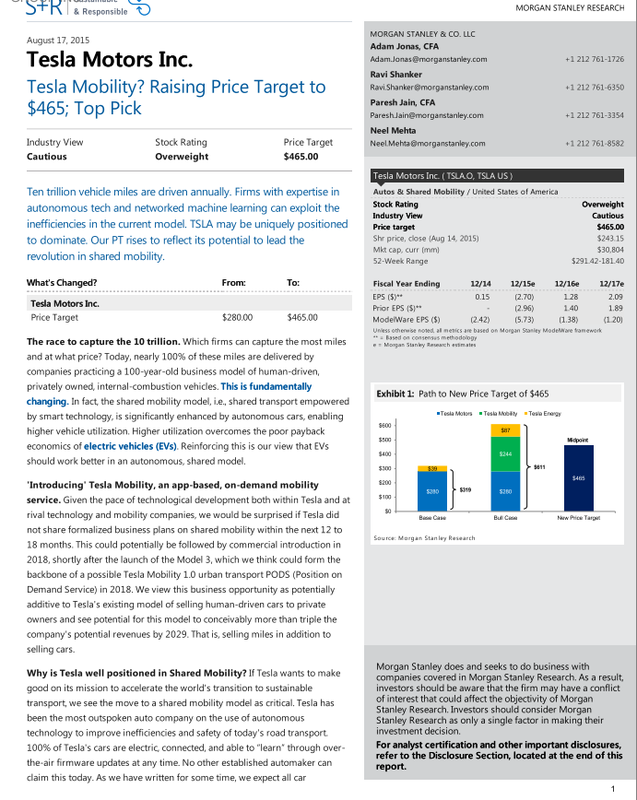 Adam Jonas, Managing Director at Morgan Stanley, published a note yesterday to update the firm’s price target on Tesla’s stock to $465 from $280. The updated price target includes a whole new business segment called “Tesla Mobility” which Jonas expects Tesla to announce within the next 12 to 18 months. According to Jonas, “Tesla Mobility” would be a service taking advantage of a Tesla electric vehicle fleet and future autonomous driving technology to offer ride-sharing services based on a Uber-like app. The financial analyst believes Tesla’s unmatched experience with electric vehicle drivetrains and growing self-driving expertise, could help the company dominate this potentially lucrative market. Jonas is the same analyst who, during a conference call earlier this month, asked Musk a question about Uber potentially buying cars from Tesla. Musk refused to answer. Morgan Stanley released the note before the market opened and the stock held a ~5% gain throughout the day. 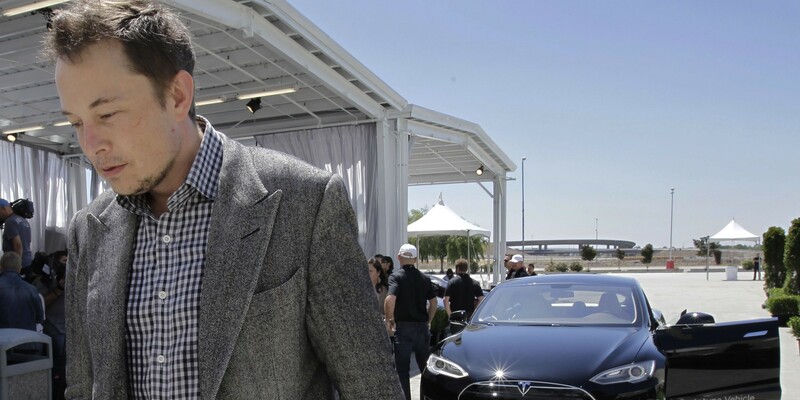 The note comes less than a week after Tesla announced a secondary offering. 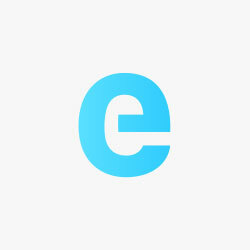 Morgan Stanley is one of the banks underwriting the offering.